LONDON (Reuters) - Since De Beers abandoned its decades-old policy of refusing to sell lab-grown diamonds as jewellery, the price gap between man-made stones and natural gems has widened - and the difference is set to get even bigger. When De Beers shocked the industry with its U-turn in May, a 1 carat synthetic diamond cost about $4,200 (3,321 pounds) while an equivalent mined gem sold for $6,000. But since September, De Beers, has been selling gem-quality man-made stones for just $800 a carat. By contrast, its synthetic diamonds grown in Britain at its Element Six https://www.e6.com labs and sold through jewellery subsidiary Lightbox https://lightboxjewelry.com are marketed as sparkly, pink, blue or white fashion accessories that are neither as rare nor precious as real gems. The risk for the 130-year-old De Beers https://www.debeersgroup.com, which coined the marketing tag "A Diamond is Forever" in 1947, is that its branding of lab-grown gems could undermine natural diamonds. But so far, De Beers' strategy has been working. 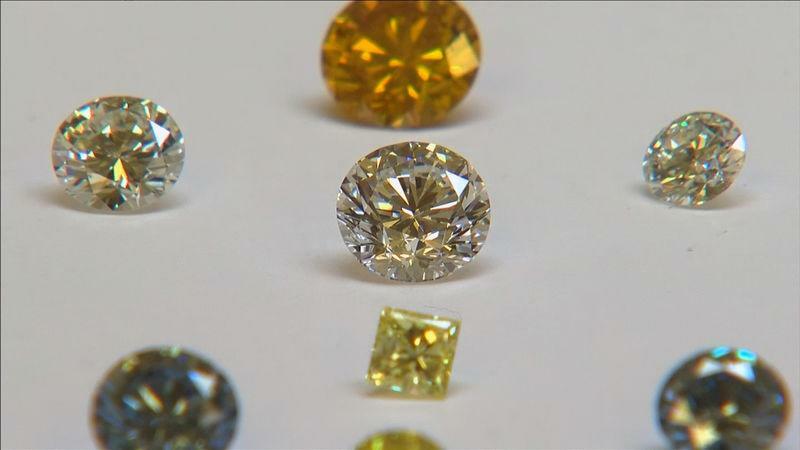 According to analyst Paul Zimnisky http://www.paulzimnisky.com, the average discount of a 1 carat generic lab-grown diamond to a natural diamond had widened to 42 percent by mid-November from 29 percent in January. "The cost of these synthetic diamonds will go down to production costs plus a competitive profit margin. There is no shortage," said Martin Rapaport, who publishes a list of natural diamond prices https://www.diamonds.net regarded by many in the industry as a benchmark. "The idea of De Beers is clearly to set a price point where it may deter large volumes of capital to come into the lab-grown diamond market," said Morgan Stanley (MS.N) analyst Menno Sanderse. "They are trying to minimise the tail risk of the substitution scenario." Major department stores J.C. Penney (JCP.N) and Macy's (M.N) announced in October the roll-out of a bridal collection of lab-grown diamond jewellery in time for the peak Christmas season - and stuck to their guns on pricing. A three-carat lab-grown diamond engagement ring is listed on Macy's website for $19,950. The jewellery is made by Richline Group http://www.richlinegroup.com, which his owned by Warren Buffett's Berkshire Hathaway (BRKa.N).